Using your business Facebook page to grow your social media presence isn’t always easy, but there are certain methods you can use to make it work. Taking the algorithm changes that were implemented earlier this year into account when adjusting your social media marketing strategy will be one of the best ways to ensure success. We’ve all noticed that Facebook’s organic reach has been declining for the last few years, which makes it tricky for small businesses who go it alone as opposed to those who work with a social media management service. To keep you on the up and up, we’ve outlined some tips and tricks you can use to win the Facebook game. Create relatable videos – this is an easy way to give your followers a profound sense of satisfaction. When creating videos, keep in mind that it takes about three seconds for someone to show interest in it. Do your best to make your videos attractive, entertaining, and professional right from the get-go. Don’t be pushy – your followers won’t convert into customers if they feel you’re only after their money. Focus your energy on providing value to them and teaching them about your industry, not just your products or services. Add a little technology – online video makers such as Renderforest are easy to use and do all the engineering for you. Choose the layout you like best, add your content, and select the music. You’ll have the ability to preview the video before it goes live in minutes. You should ask your followers for input almost as much as you give them information and content. Asking questions via Facebook polls is an easy way to get their input on new products, services, their experiences, and more. Did you know that your Facebook page technically acts as a directory? So many of your users turn to Facebook to look up your business details before they search Google, which means part of your social media marketing plan should be to keep it updated. Having current information on Facebook shows users that your business still exists and is legitimate. Think about all the ways the average adult sees advertising: TV, radio, internet, billboards, newspaper ads, etc. People don’t want to see a sales pitch every time they open their Facebook feed. Users want to know your story more than what you’re selling. Show them that you celebrate your employees birthdays and what makes you a social company. Facebook users want to know that you’ll respond to them if they reach out to you. Whether they’re leaving a comment or sending a message, getting back to them quickly is a must for any effective social media marketing plan. Have you ever noticed the green “Very Responsive” badge on other Facebook business pages? You have the ability to earn that! Turn on notifications so you’ll be notified immediately when someone messages you through Facebook. If you can’t reply right away, you can set up an “away” message so your follower receives a response and you can keep your badge. 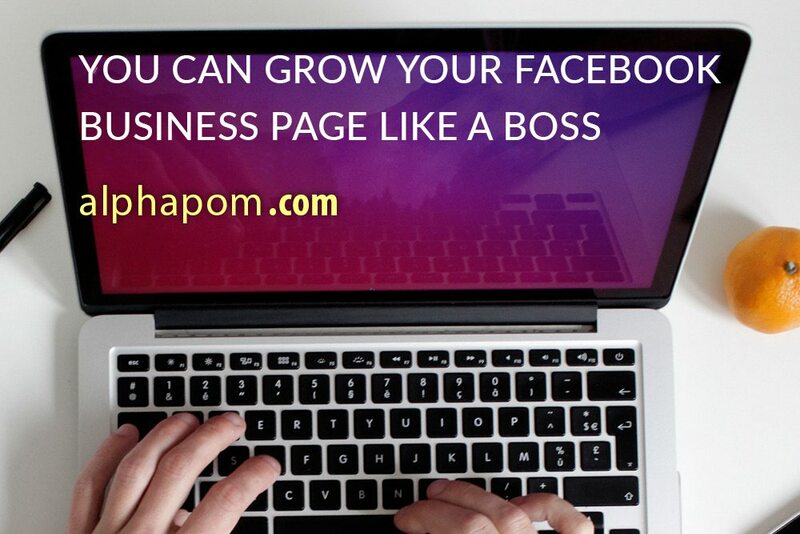 For help with all things Facebook and social media, turn to the team at Alphapom. We’re a locally owned and operated marketing company in Cedar Rapids, Iowa that loves to work with small businesses. Give us a call today to chat about your social media strategy.